This is a photo of my great grandad Joseph and great grandmother Mary Ann along with Joseph, the illegitimate son of my great aunt Minnie. 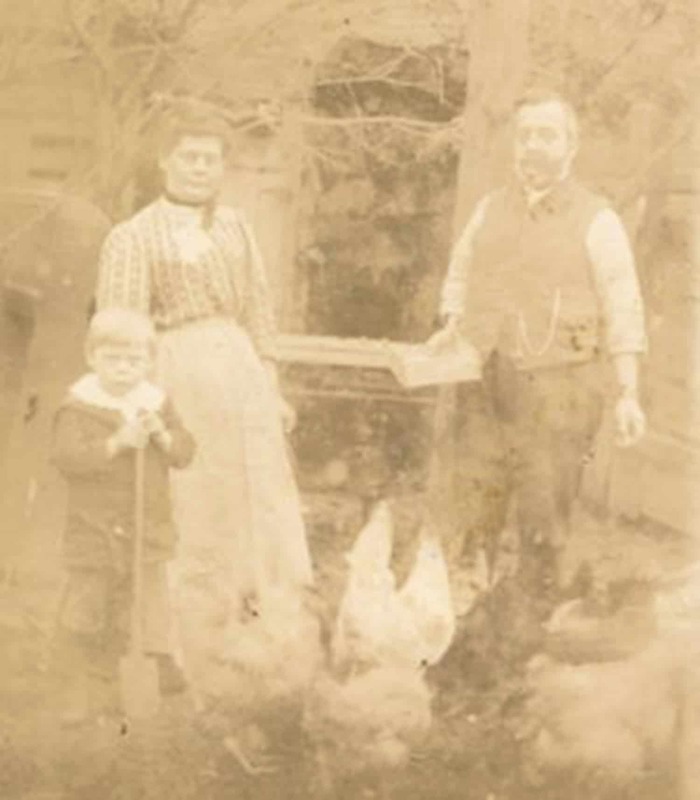 It was taken in the back garden in Titford Road, Langley in about about 1907. It is connected to a formally unknown story in the family and when it finally came to light 2 years ago it was the first time I had seen my great grandparents. Joseph was the child of Minnie and Mr Podmore, her employer in Birmingham (she was in service). The photo reveals the morality of the time where children had to be hidden away if they were not born in wedlock. However later on Joseph Jr lived just down the road in Titford Rd and lived until the early 70s as a good working class member of the Black country Community.